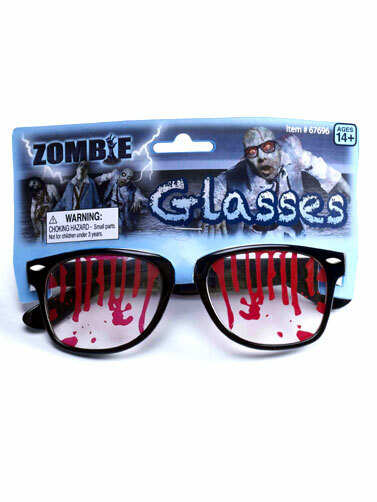 These bloody lens plastic glasses are perfect for your zombie costume, but will work with a number of other characters as well. Black hinged plastic frames with plastic lenses. Blood drips have been painted on for a gory look. Bloody Zombie Glasses measure 5.5"W. Recommended for ages 14+.